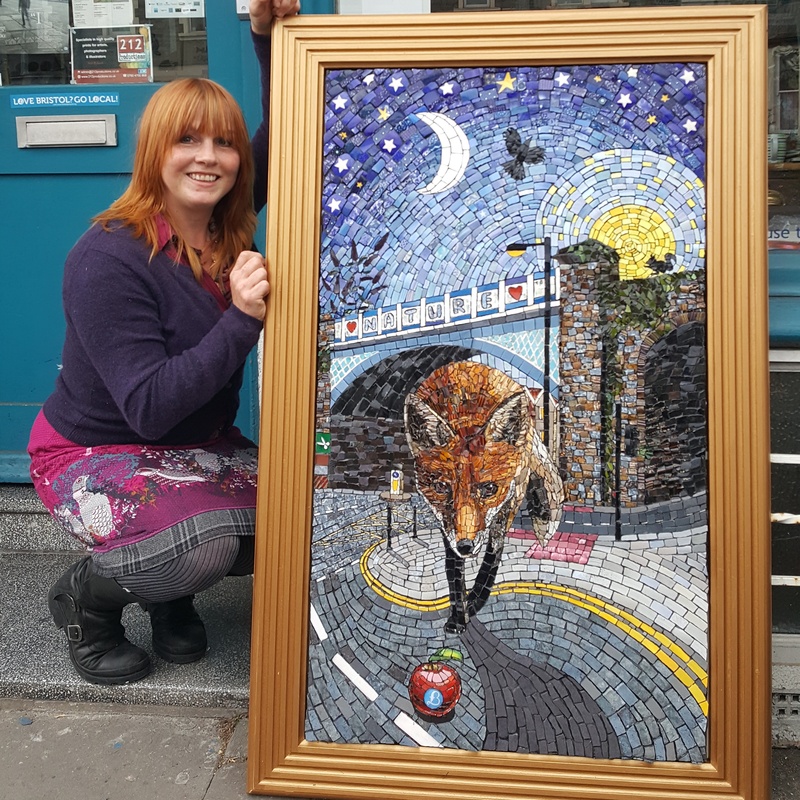 Toni normally only creates mosaics on the walls and ceiling of her house, which can be seen during the North Bristol Art Trail. 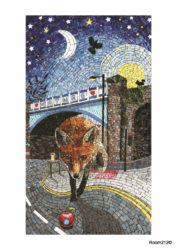 However, she was inspired to create the fox mosaic when we launched the Open Submission for the Gloucester Road Art Banners project Gloucester Road Art Banners. The giant original is currently in our window display. Prints of the work are available in a variety of sizes plus greeting cards.